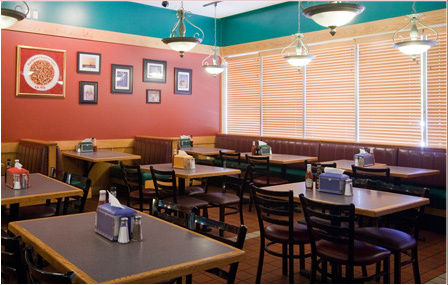 Residents of Northern Rhode Island choose Cumberland House of Pizza time and time again to gather with friends and family for a great meal in a warm, welcoming atmosphere. 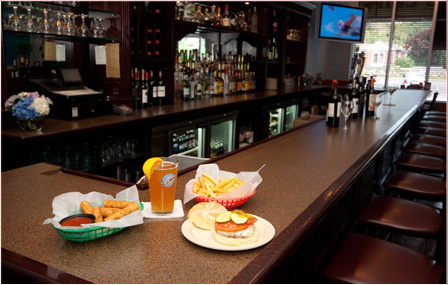 Indulge in fresh, homemade, delicious pizza, grinders, salads and more in our Main Dining Room or choose to unwind with a cocktail after a long day at our Full Service Pub. The choice is yours - either way, you’re guaranteed a great meal and friendly service. Bring the delicous, homemade taste of Cumberland House of Pizza to your next party! Did you know that CHOPs offers catering service for parties of 10-100? We’d be happy to supply all of the food that you need to make your event a smashing success! Contact us today at (401) 658-2626 or stop by our location. Our spacious dining room has hosted a number of different parties and events over the past 40 years. Children’s birthday parties, sports leagues, family events and work parties all find our food and attention to service too good to pass up! Contact us today at (401) 658-2626 or stop by our location and start planning your next event at Cumberland House of Pizza today!